This reinforced stack-able 208 L. heavy-duty tough tote will handle any rigorous or extreme storage job. Comes with reinforced snap fit tough tote lid to secure and protect your valuables. Perfect for the meticulous organizer who demands the very best in heavy-duty storage and protection. Lockable to keep away unwanted intruders. If you're into extreme protection, this is the right choice for you. 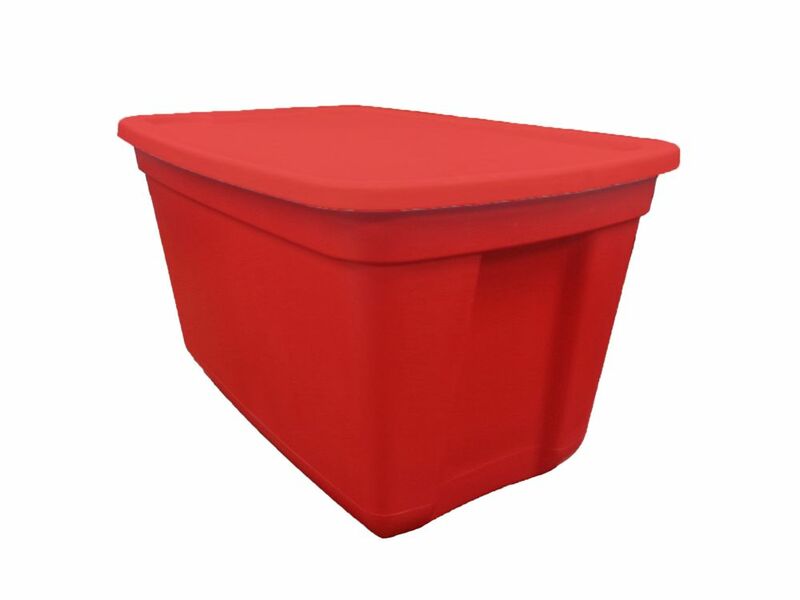 Plastic Tote in Red, 76 L This tote is made of heavy duty resin which gives durability and long time use. It is the perfect solution to store all your excess items such as blankets,sporting equipment and toys. It is stackable which maximizes your space needed. It can be stored in the basement, attic or used as garage storage also.